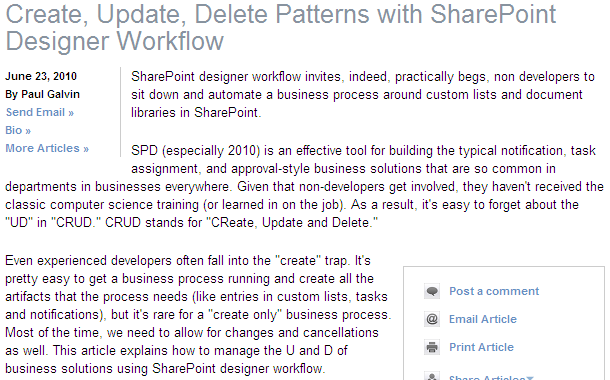 This entry was posted in SharePoint Workflow and tagged CRUD, SharePoint Solutions Design;SharePoinit Designer on July 1, 2010 by Paul Galvin. Thanks for being such contributor. 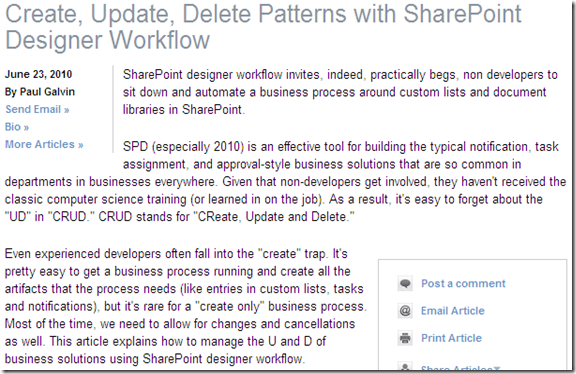 Do you have more step-by-step explanation of custom list workflow creation and setup? Hi, sorry for never responding. I hope you found an answer to your question(s).